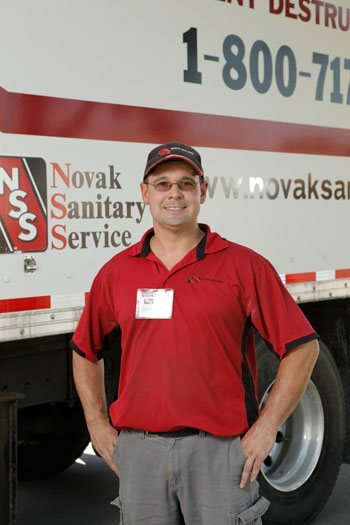 Dakota Data Shred (DDS), a division of Novak Sanitary Service, has been providing confidential, secure, and convenient document shredding services and data destruction since 1995. 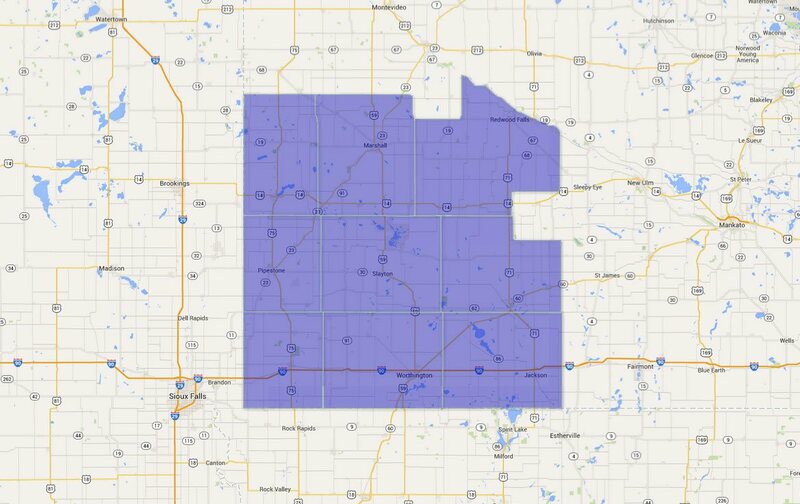 We offer service throughout South Dakota and parts of Minnesota, Nebraska and Iowa. Why Choose Dakota Data Shred for Paper Shredding Services & Film Destruction & Hard Drive Destruction? Magnetic Media: Includes magnetic tapes and floppy disks. Flash Media: Includes USB storage devices, PDA's and cell phones. Dakota Data Shred is an AAA Certified business meeting strict regulatory compliance. 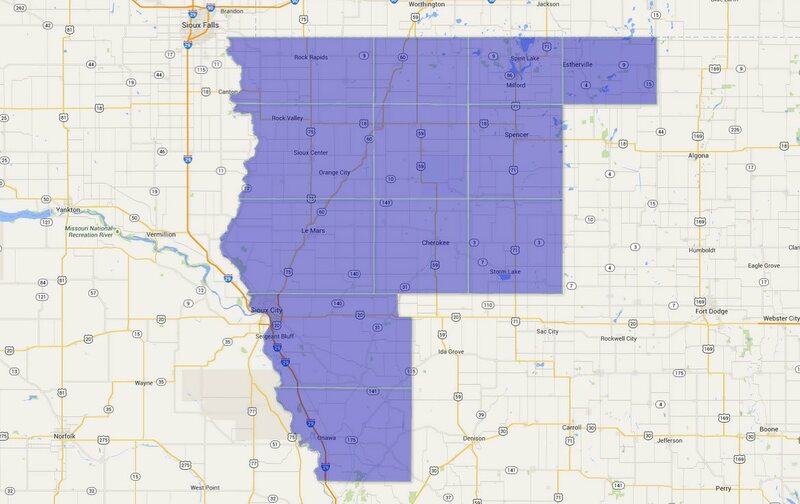 Dakota Data Shred serves South Dakota and parts of Minnesota, Nebraska and Iowa as outlined on each state map below with document shredding services and data destruction. Individuals who are not Novak residential trash customers may also drop off documents to be shredded. The cost is $7 per box (size equivalent to 12" x 15" x 10"). Monday-Friday between 9:00 a.m. and 3:00 p.m.
What should residents bring to shred? In short, all sensitive information including junk mail and paperwork that includes the items below should be destroyed. Expired credit and identification cards including driver's licenses, college IDs, military IDs, employee badges, medical insurance cards, etc. Business organizations must comply with the laws and regulations to protect certain information when it is discarded. Do you use consumer reports or credit reports to evaluate customers' creditworthiness? Do you consult reports when evaluating applications for jobs, leases, or insurance? Here's information about your responsibilities under the Fair Credit Reporting Act and other laws when using, reporting, and disposing of information in those reports. HIPAA data security compliance spans computer hard drives, media and paper documents. Each must have its own plan to maintain data lifecycle privacy from encryption, retention and retirement (destruction). The Red Flags Rule requires many businesses and organizations to implement a written Identity Theft Prevention Program designed to detect the warning signs – or red flags – of identity theft in their day-to-day operations. Shredding sensitive paper documents is one way to reduce your risk of becoming an identity theft victim. Every year Dakota Data Shred partners with businesses for community shred events to keep personal information out of the hands of thieves. Dakota Data Shred also ships the shredded documents to pulping mills to be made into tissue paper and paper towels. Most shred events permit individuals to bring up to two file boxes or three grocery bags of paper documents. Residents should consider shredding these types of documents. Record Keepers Incorporated has been using Dakota Data Shred destruction services for over 15 years. They have given us timely and secure record destruction and we have never had any problems with them. Their drivers are always courteous and helpful. They take whatever we send them for shredding: microfilm, VHS tapes, and paper. We are very happy with their service. I understand you destroy Non-Paper media too. Can you explain what type of items those are? Optical Media: Includes digital electronic storage devices that write or read data, CDs, DVDs, CD-ROMs and DVD-ROMs. Do you have a list of the types of documents a consumer should shred? Yes, we have a list of paper documents residents should bring to shred.